Although I currently work a normal schedule with MotoArt (which – by the way – is my favorite job ever due to the people and environment), at one time I owned an internet company and had complete freedom of travel. In other words, I could literally run the company from anywhere in the world with a laptop and cell or satellite phone. 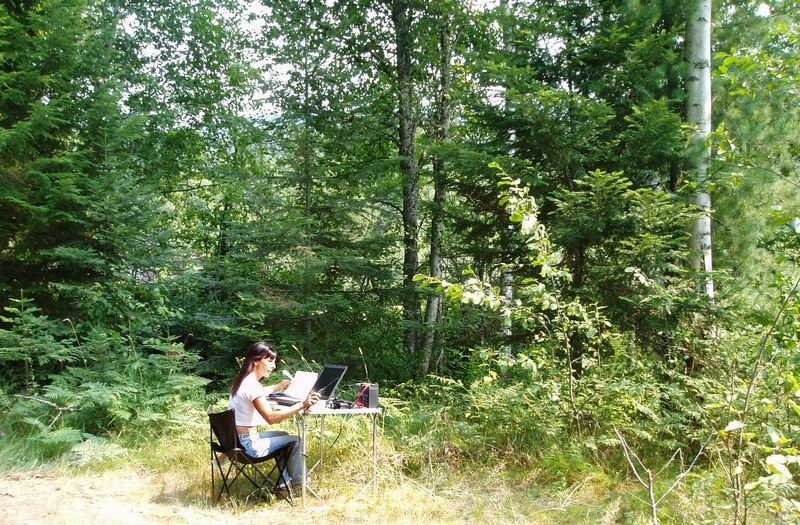 During that time, I learned much about working remotely…as in no cell coverage, no power source…no office luxuries whatsoever. I am updating the technology shown above right now, but the principles are the same. 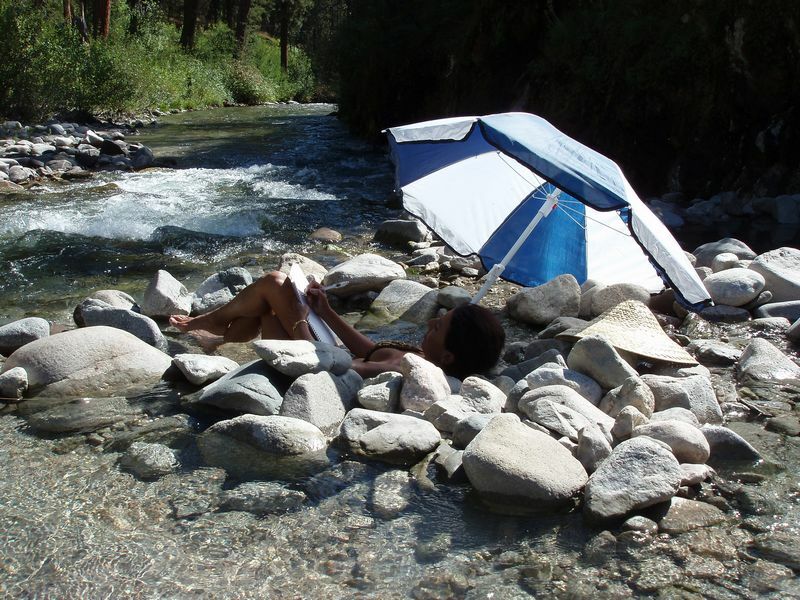 If you are not tied to a desk, today’s technology allows one to work from a beach, the park, or a mountain top. 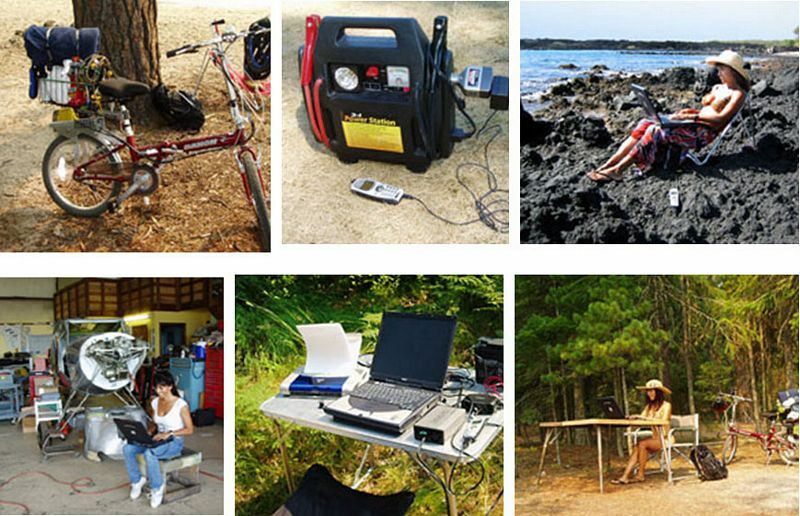 With no form of AC power available, I have used a variety of batteries and solar panels. When powering the laptop, I find that an AC inverter connected to a powerful battery does a better job than simply using a 12V power adapter. I will share more of these tips in the coming months. Since I still do some extended air-camping trips each year, I have switched to the latest and greatest gear and I will be adding my current gear recommendations soon. One of the keys to working in this way is discipline. Every day, I would set aside the time needed to communicate with customers or the distributor. And as is shown above, no place is sacred when it comes to getting the job done. After doing this for three consecutive years, I realized that I had lost the concept of walls designating an office space. While sitting in a lava field near La Perouse Bay, Maui (where I had been snorkeling with a pod of spinner dolphins), a fellow passed by and saw me working on my laptop. He said to me “You need to learn to leave your work at the office”. I had become so mobile, that the comment literally confused me and I immediately responded “I am at my office.” I wasn’t be smart…it was true. In my mind, that time was focused on work and where that process occurred was truly irrelevant. If you have any specific recommendations of gear that has proven to work well for you, please email the information to me and I'll check it out. Appreciate your feedback.